Sorry, had to get that out there. That’s what it feels like when you finally motivate yourself to write a post for your blog that isn’t just a review of the last movie you saw, which, if you’ve been checking out Movie Muse at all in the last year, is all you’ve gotten outside of some posts from last year’s Oscars. So, what better way to get myself jump-started than to look at this year’s race? The Golden Globes are set for Sunday, which means we’re about to go from Oscar speculation to announcing Oscar frontrunners. 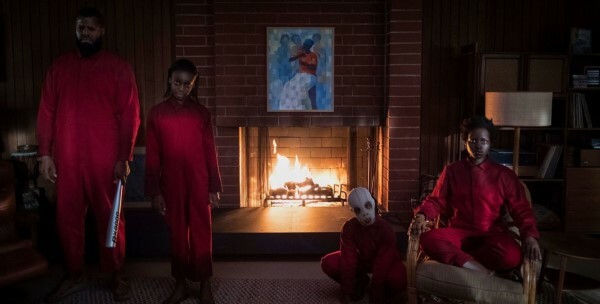 Since awards season began in early December, speculation has been all over the board; just a handful of films have received all the accolades, but one of them has not emerged as the clear favorite. 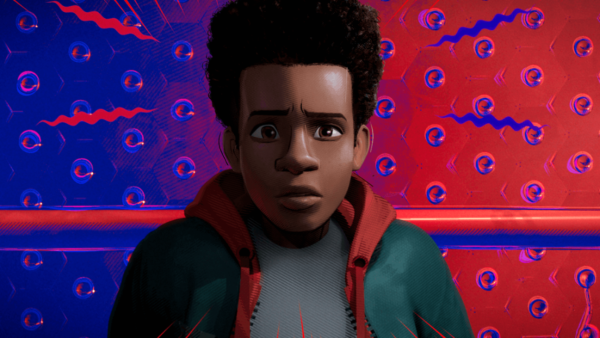 So, with much thanks to Metacritic for their awards scorecard, here’s a breakdown of the contenders and favorites so far. In my mind, the race for Best Picture is basically over. It’s not that I think Boyhood is miles better than anything else that came out this year (though it is indeed my pick for best of the year — full list coming later this month), but it’s a special, completely unique movie that’s easy to root for. Even if it doesn’t top your list, you can’t deny it’s status as one of the year’s best. It’s also very rare that critics on both coasts agree on the best film of the year: it has been named Best Picture 12 times, including by critics in New York, Los Angeles and Chicago. It’s really hard to envision a film making a big January run and overthrowing “Boyhood” but it’s possible. One of the films that won’t do it but could walk away with a Best Picture at the Golden Globes is Birdman. Another highly innovative film, “Birdman” has been a close but clear second among film critics with seven wins and it will compete in the Best Picture – Comedy/Musical category on Sunday. This is the kind of movie that critics absolutely love (there’s a theatre critic character in the movie — enough said), but if it were going to beat “Boyhood” at the Oscars, we’d know by now. Both films have had full runs in theaters, so there’s no room for momentum. Will it get a lot of Oscar nods and maybe even more wins than “Boyhood?” Quite possibly and maybe even likely, but it’s going to take another film with good buzz and room to grow in public consciousness. So what could those films be? Currently making a solid push is The Imitation Game. I saw this one recently and was surprised to find something more than just a standard, quality historical biopic. It’s making a nice haul at the box office due to some great word of mouth, and you can’t forget that it has the muscle of The Weinstein Co. as its distributor. Their reputation as ceaseless promoters worked on this other British film you might’ve heard of called “The King’s Speech.” Although it didn’t win many critic’s awards, “Imitation Game” is becoming an active part of Oscar conversation and is a surefire Best Picture nominee. The biggest wild card threat to “Boyhood” is Selma. Buzz has been significant (it is still at 100 percent on Rotten Tomatoes), but it has yet to break the surface. All that will change when it expands nationwide on Friday. If it catches on, with Dr. Martin Luther King, Jr. Day around the corner, it’s hard to imagine it not becoming part of a national conversation that catapults it into the spotlight. Many film writers have criticized Paramount for not getting “Selma” out there enough, which could be why it barely received any accolades from critics groups despite the overwhelming praise out there. At the same time, it’s hard to tell if the national debate on race could be impacting this film. It weirdly has just a 6.7/10 on imdb.com despite its flawless record with critics. 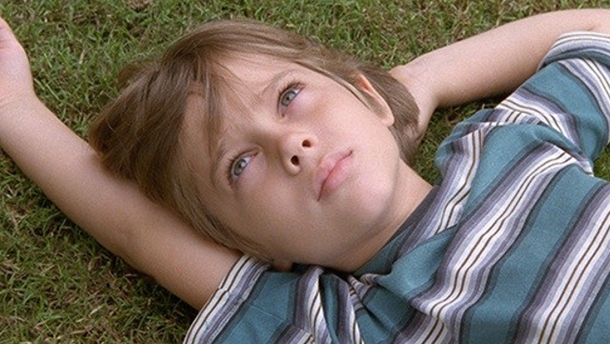 We’ll find out Sunday as it goes head-to-head against “Boyhood” at the Globes. 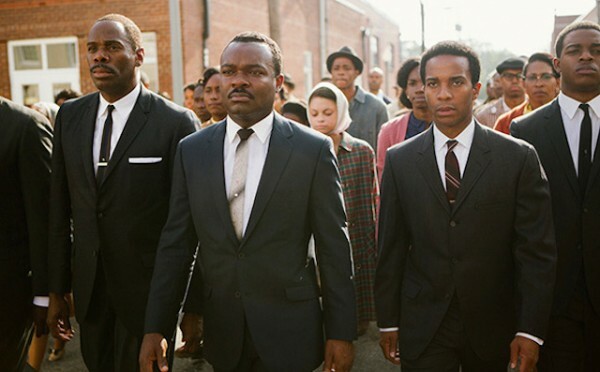 If “Selma” wins, it’s going to make bank at the box office and it would be unlikely for momentum not to carry it through to the Dolby Theater stage at the end of the night on Feb. 22. Other top contenders likely to land in the the Best Picture nomination pool are Stephen Hawking biopic The Theory of Everything and Wes Anderson’s The Grand Budapest Hotel, the latter of which came out almost a year ago but has stayed afloat thanks to a strong following of critics who have conscientiously kept it in the conversation. Smaller independent films with a good shot are Whiplash and Nightcrawler, and David Fincher’s Gone Girl could definitely end up in the mix. The final but distant wild card (like “Selma” it hasn’t gotten a wide release yet) is Clint Eastwood’s American Sniper. 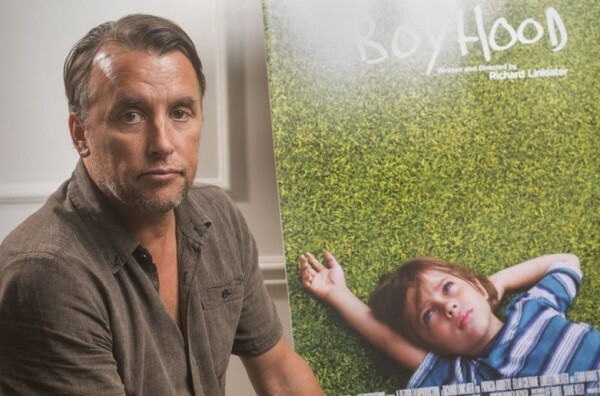 Best Picture and Best Director tend to go hand in hand, so Richard Linklater, the innovative mind behind “Boyhood” and a well-respected filmmaker in many genres, is the favorite. Linklater has 18 wins in the category from critics groups and awards bodies so far, though if you know awards season, you know that the Directors Guild Awards (nominees to be announced Jan. 13) are the be-all and end-all when it comes to the Best Director Oscar. The foresight and imagination “Boyhood” required to come together under his vision is difficult to fathom and it would be a well-deserved Oscar win. Linklater’s fiercest competition will likely come from “Birdman” director Alejandro González Iñárritu, whose masterful long takes showed unbelievable prowess. It will be interesting to see if last year’s Oscar going to fellow Mexican director Alfonso Cuarón, who also loves long takes and featured them prominently in “Gravity,” will impact Iñárritu’s chances, though we’ll probably be left to speculate on that. Given that “Selma” is in position to make a fierce run, that puts Ava DuVernay in the race as well. I have not seen any of her work, but she earned a Golden Globe nomination and her film is of powerful cultural relevance. The Academy and the public will surely love her story as an emerging black female director, which is reason enough to suggest she’ll be nominated, the quality of “Selma” aside. Wes Anderson is shaping up to be a lock for a nomination given his success with critics and his Globe nomination, but the fifth spot is up for grabs. David Fincher was nominated for a Globe, but “Whiplash” director Damien Chazelle has been in the conversation too. And you can never totally count out Clint Eastwood. “Boyhood’s” lead actor is a complicated situation, so another film will claim Oscar’s “Best Actor” prize. Unsurprisingly, this year is stacked, but right now the leader is Michael Keaton. “Birdman” was more than a lead role for him; it captured part of his truth as an aged star of a bygone decade. 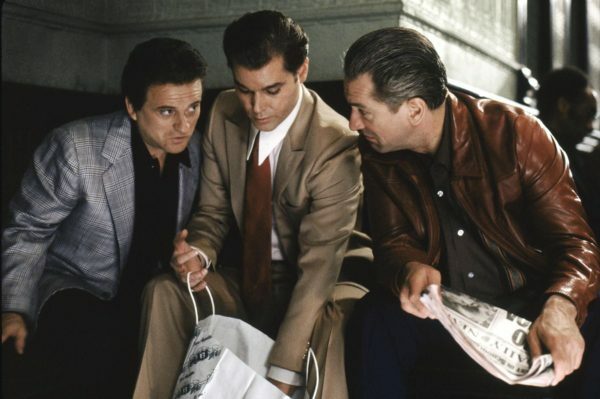 Consequently, he pretty much swept the critics awards on his way to Globe and Screen Actors Guild Award nominations. He’s virtually a lock for a Globe too because he’s in the comedy/musical category. But as much as everyone (including the Academy) loves a comeback, this would truthfully be a non-traditional choice for the Academy given his role and the film because it’s not a prestige part. That’s what makes Benedict Cumberbatch a heavy contender as Alan Turing in “The Imitation Game.” As a newer face in Hollywood, he doesn’t totally fit the Best Actor mold, but the Weinsteins will put a lot of energy into his campaign and he’s simply outstanding in the film. He’ll compete in the drama category at the Globes, so if he’s going to contend with Keaton, he’ll need to win that award. The latter is obviously going to be the most familiar. “Gone Girl” was a huge hit and Pike played a truly unusual, dark, powerful character. Her performance as Amy Dunne will surely put her on the map no matter how the Oscars turn out. Moore, however, is the established actress, but in contrast to Pike, her performance comes in a film barely anyone has seen, as “Still Alice” doesn’t get released until later this month. 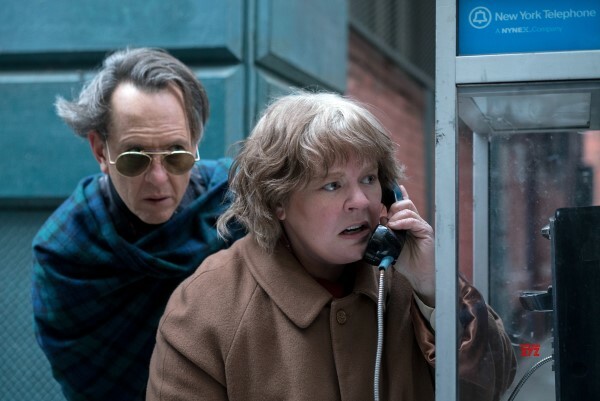 Moore plays a famed linguistics professor suffering from early onset Alzheimer’s in what will likely be her fifth Oscar-nominated performance. As a veteran talent and a prolific one at that, if no other major players emerge, she could be the favorite. The Globes and SAG Awards agreed on the five nominees this year (all the SAG nominees fell into the Globes’ “drama” category) and the other three are Jennifer Aniston in “Cake,” Felicity Jones in “Theory of Everything” and Reese Witherspoon for “Wild,” in which she plays soul-searching author Cheryl Strayed for “Dallas Buyers Club” director Jean-Marc Vallée. A previous winner, Witherspoon should hang around, and as an up-and-comer, Jones should also get nominated. Aniston, too, I guess, though no one has really seen “Cake” yet. In the wings is past winner Marion Cotillard, who won critics awards for “Two Days, One Night” and “The Immigrant,” but this combination didn’t cut it for the Screen Actors Guild or the Globes. Next in line would be Scarlett Johansson for “Under the Skin” and Essie Davis for “The Babadook,” which might tell you that this category is locked up pretty tight despite no obvious frontrunner. One of the the most beloved character actors is getting his chance to shine and could be well on his way to his first Oscar nomination and quite possibly win. 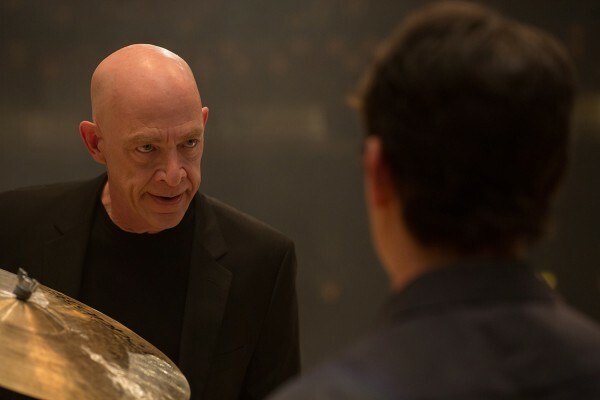 J.K. Simmons, known best as J. Jonah Jameson in the original “Spider-Man” films and for playing the dad in every indie movie, is collecting heaps of praise for playing a harsh jazz conductor and teacher in “Whiplash.” Simmons has a whopping 20 wins from awards bodies thus far as well as SAG and Globe nominations. The rest of slate has been rather unanimous too. Next in line are two Incredible Hulks: Edward Norton and Mark Ruffalo. 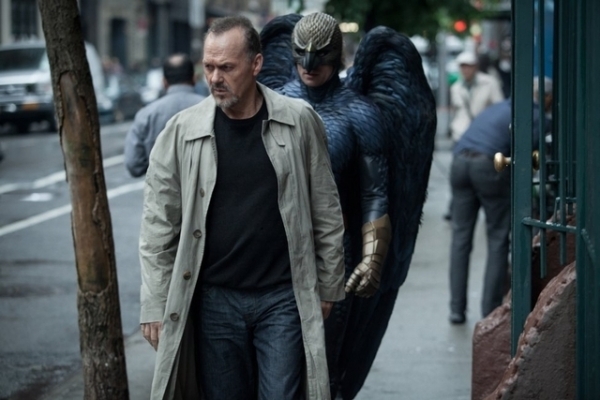 I’ll give the second place edge to Norton for his memorable part in “Birdman” as a nemesis of sorts to Michael Keaton. Ruffalo was great in “Foxcatcher,” but the more interesting characters in the film are Carell and Channing Tatum. Then there’s Ethan Hawke, who in a way is the soul of “Boyhood” in character form, the divorced dad who seems as though he’s no good but surprises us and our expectations at every turn. Robert Duvall is the favorite for the fifth spot as he received SAG and Globe nominations for his role in “The Judge.” But there has also been ample love from critics for Josh Brolin in Paul Thomas Anderson’s “Inherent Vice,” a film that could be largely left out of the Oscar conversation altogether. Longshots are Alfred Molina for “Love Is Strange” and Riz Ahmed for “Nightcrawler.” A small contingent continues to push for Andy Serkis to get nominated for his outstanding motion capture work in “Dawn of the Planet of the Apes,” but his day is likely still yet to come. Although her counterpart isn’t nearly as high in the running, Patricia Arquette is the current favorite in this category for playing the mother in “Boyhood,” a woman who struggles to raise her kids right despite meaning the best for them because of her own personal struggles. Arquette ran away with most of the critics awards aside from Boston and Los Angeles. Boston favored Emma Stone, whose role in “Birdman” should earn her a first and perhaps long overdue Oscar nod, but her competition outside of Arquette is stiff; this is what makes Arquette all the more favored — the others will likely split a lot of votes. There’s Keira Knightley, also a SAG and Globe nominee, looking for her second nomination ever for “The Imitation Game,” in which she plays a strong female character who doesn’t hide in Cumberbatch’s shadow. Also nominated for a SAG award and a Golden Globe is — surprise, surprise — Meryl Streep, whose unusual turn as the witch in “Into the Woods” has been enchanting audiences since Christmas and could guarantee her 19th Oscar nomination. The fifth spot is up for grabs here too. The Globes favored Jessica Chastain for “A Most Violent Year,” the third feature film from writer/director J.C. Chandor (“Margin Call,” “All Is Lost”) while the Screen Actors Guild surprisingly nominated Naomi Watts for playing a stripper in fan-favorite “St. Vincent.” Critics were also high on Tilda Swinton’s off-beat and almost unrecognizable role in “Snowpiercer.” Personally, it would be great to see that movie get some love.